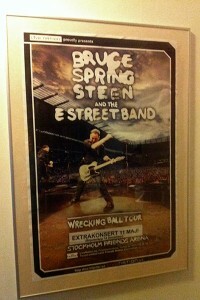 Just when the fans thought the tickethunting was over, more news came about the swedish shows. Since the two concerts had sold very well there would be a third one on May 11th! It feels a bit strange that the band would play two shows, have a week off and then come back. 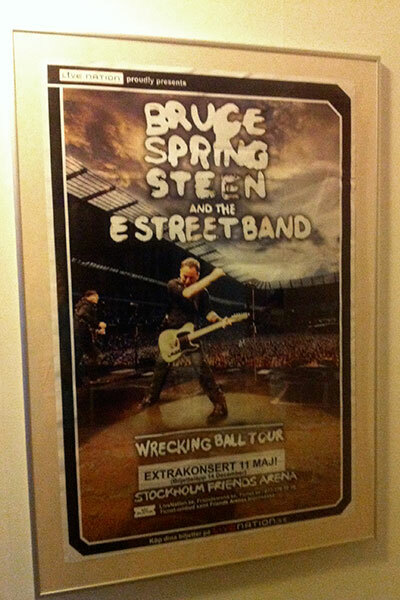 As it has turned out, there will be a show in Finland between the three swedish gigs, so the band will be busy. A week after the first tickethunting it was the same procedure all over again. I got up early in the morning, put on all of my warmest winter clothes, took the subway to the Globe arena and went in line for tickets. This time it was even fewer people around. Everything went smoothly and I got the tickets I needed for my self and for some friends who wanted help. We were waiting around for a while in case they would annonce a fourth show, but luckily that didn’t happen. I got my self a poster on the way home, it now hangs on a wall in my study. 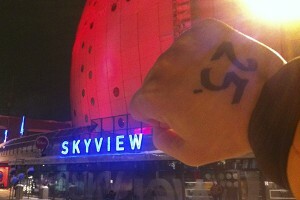 On Thursday the 22nd I found out that the ticket releas would be on Monday, January 26th. In a way that was good, it was a quiet Monday and I wuld have no problem getting out of work for some hours to que for tickets. The only thing was that my collegues and I had been working for four days straight on the motorcycle exhibition in Älvsjö. 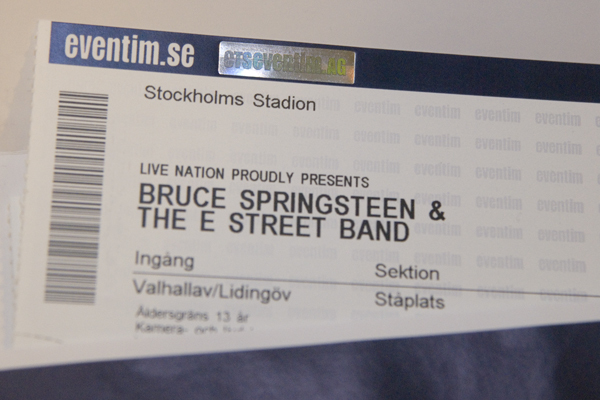 Four days of listening to people, making interviews, promoting our magazine, walking, standing… To make the long story short I was very tired, the night before the release I only got a few hours sleep and at 05.30 in the morning I got to the ticket drop outside the arena, Stadion. 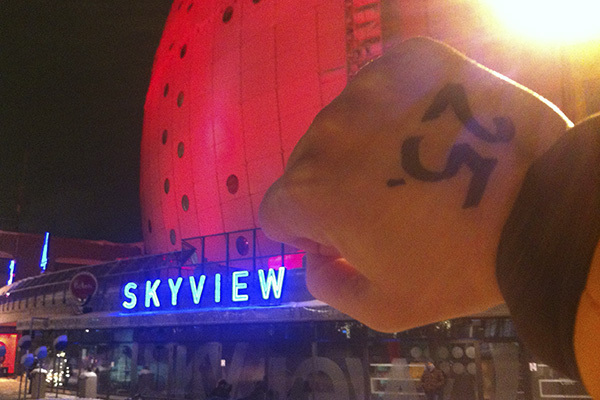 I got number 246 in the line, chatted with my friends,listened to the rumors about a third show and waited. We lined up at seven, the security people arrived at eight, and just before ten o’clock everyone was really excited. When the bells tolled nobody had even time to say GA, before the crew told us that there had been a breakdown and that the sale would be delayed 30 minutes. We were told that the severs had broken down, there was something about a credit card pay system that wasn’t working. The good thing was that the call center, the internet booking and the few cashiers were all blocked, so nobody could buy anything. After 55 minutes the sale finally got going. But oh, so slowly it went! 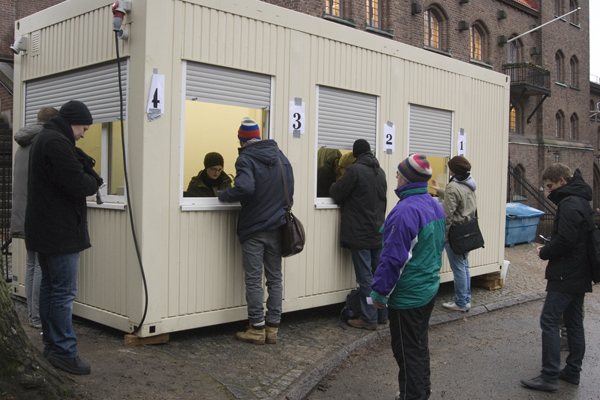 There were four cash registers at Stadion, but they would have needed at least ten. Everybody was comparing the very haphasard way the new company Eventim was handling the sale to what we’ve been used to with Ticnet. To have the sale in a small shack that could easily have been mistaken for a hut on a construction site did not look professional. Anyway, shortly after one o’clock I got my six GA’s, three for each night. The shows will take place on June 4th and 5th. I was very happy and hurried to work as fast as I could. But the ticket release was really a mess. People who tried to buy over the internet were charged for the money, but several bookings were maculated, so people payed, but got no tickets. And there were a lot of tickets out on the black market as soon as Eventim started their sale, so something must have gone wrong since the promotor had tried to restrict the scalping. That the internet booking would crash was no surprise, but that it would turn out to be such a mess, was. That’s why people stand in line for tickets, that seems to be the only certain way to get them.